Henriette Wyeth, Beulah Emmet, 1933. Oil on canvas. 46 x 40 in. Courtesy of Gerald Peters Gallery, Santa Fe, NM. 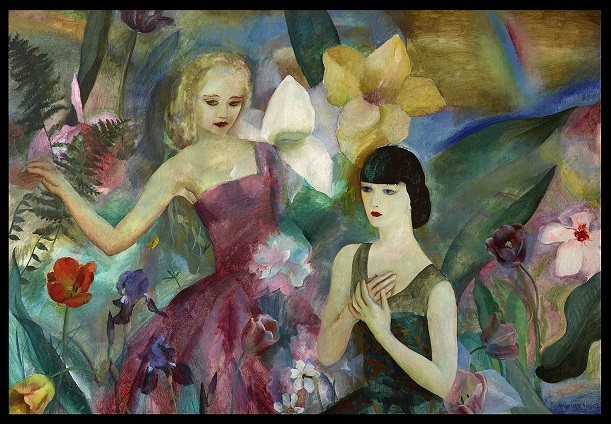 Henriette Wyeth, Fantasy, 1928. Oil on canvas. 43 x 62 in. Collection of Dr. Carolyn Farb, h.c.., and the late Jake Kenyon Shulman. Photograph by Thomas DuBrock. Peter Hurd, Eve of Saint John, 1960. Egg tempera on board. 28 x 48 in. The San Diego Museum of Art, Gift of Mr. and Mrs. Norton S. Walbridge 1975.69. 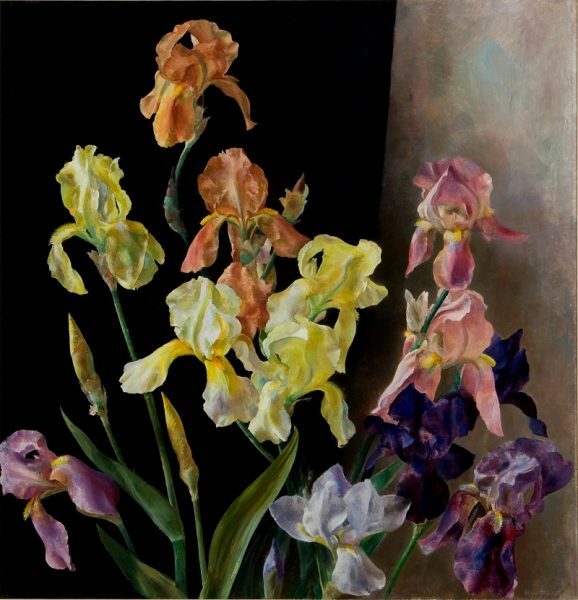 Henriette Wyeth, Iris, 1945. Oil on canvas. 38 x 37 in. Permanent Collection of the Roswell Museum and Art Center, Roswell, NM, Gift of Mr. and Mrs. Donald Winston. 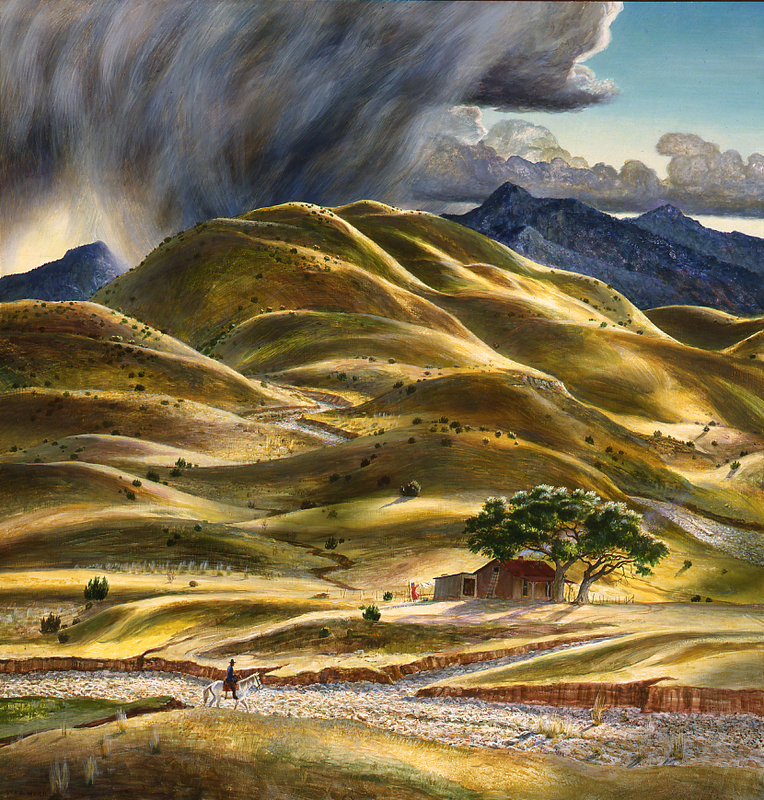 Peter Hurd, The Dry River, 1938. Egg tempera on panel. 50 x 44 in. Permanent Collection of the Roswell Museum and Art Center, Roswell, NM, Gift of Mr. and Mrs. Daniel Longwell. No family name is more closely associated with 20th century American art than Wyeth: the names N.C., Andrew, and Jamie Wyeth spark universal recognition. Henriette Wyeth—daughter, sister, and aunt, respectively—is less known, but no less remarkable. 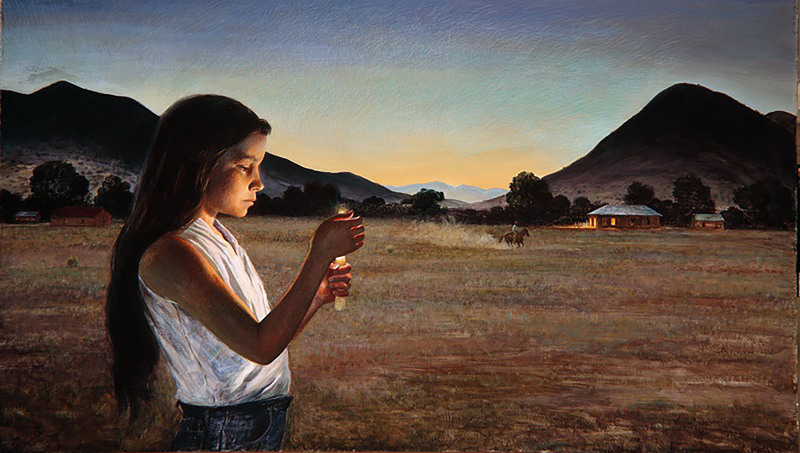 Co-organized by the Michener Art Museum and Roswell Museum and Arts Center, Magical & Real is a major retrospective that explores Wyeth’s career with paintings dating from the 1920s to the 1970s, and also examines the work and career of her husband, Peter Hurd. Featuring over 100 works, the exhibition reveals the trajectories of husband-and-wife artists, illuminates the influences of culture and region, and re-situates two forceful creators into the larger dialogue of American art. 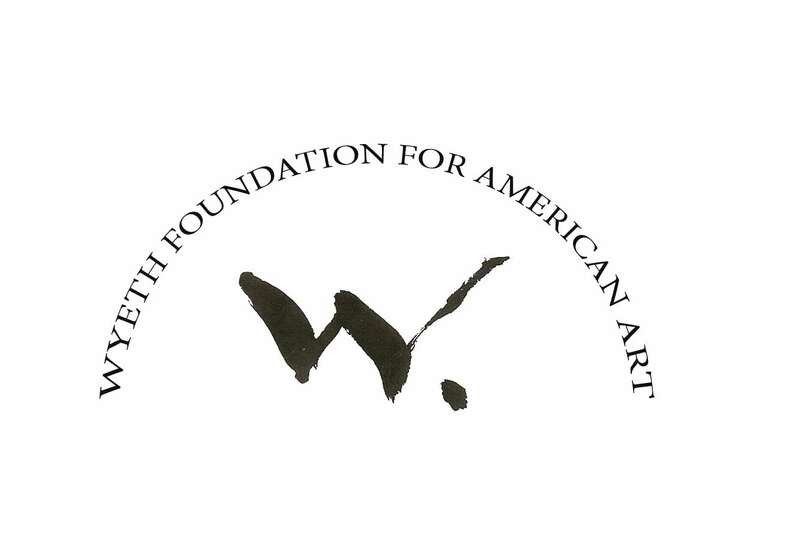 Peter Hurd (1904-1984) and Henriette Wyeth (1907-1997) were important contributors to the arts of both the Philadelphia region and the Southwest. Peter Hurd, a native of Roswell, attended Haverford College, near Philadelphia and later studied with N.C. Wyeth in Chadds Ford. 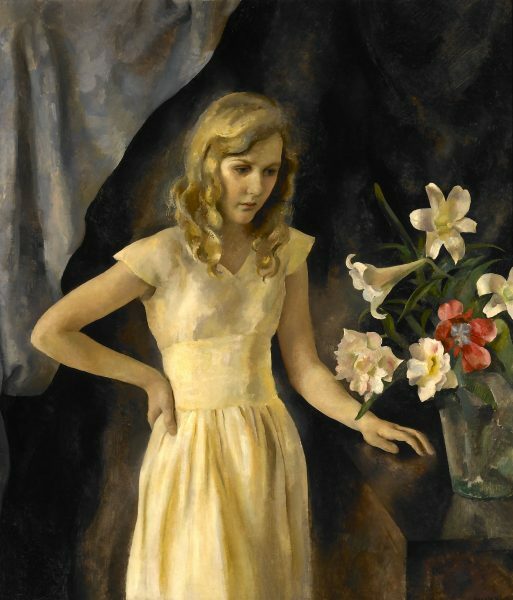 While there, he met Wyeth’s eldest daughter, Henriette, a talented painter whose lyrical large scale canvases had quickly earned her critical recognition following her graduation from the Pennsylvania Academy of Fine Arts. The two were married in 1929, and—torn by ties to both the east coast and the southwest—relocated permanently to New Mexico in 1940. There, both artists were rebranded as Regionalists, a characterization that marginalized their respective contributions to American art. Magical & Real is the first joint retrospective of Wyeth and Hurd’s work since 1967, and the first scholarly exhibition to seriously consider the work of either artist in thirty years. The exhibition will introduce audiences familiar only with the name Wyeth to the significant body of work produced by the woman that Andrew Wyeth felt was the most talented of all N.C. Wyeth’s children. Accompanied by a richly illustrated scholarly catalogue with essays by Jensen and Woodbury, Magical & Real will include approximately 100 works. Magical & Real: Henriette Wyeth and Peter Hurd, A Retrospective and its attendant catalogue are generously supported by The Mr. and Mrs. Raymond J. Horowitz Foundation for the Arts, the National Endowment for the Arts, and Visit Bucks County, with further support from Bank of America, the Wyeth Foundation for American Art, and Marguerite and Gerry Lenfest. Additional support is provided by the Bucks County Foundation; Diane G. Eler; Bonnie J. O’Boyle; James B. Wyeth; Dr. Lamberto Bentivoglio and Barbara Donnelly Bentivoglio; Linda Bean; Judy and Seth Blau; Dowling Walsh Gallery; Michael Hurd of Hurd La Rinconada Gallery & Guest Homes, San Patricio, New Mexico; Anna B. McCoy and Patrick Mundy; Robin McCoy; Somerville Manning Gallery; and Mac Weymouth. In-kind support is provided by Brilliant Graphics.